In the Junk Yard Dog build, I'm building a 1991 YJ with a lot of the tech developed here at Pirate4x4.com. I've pulled the frame and tub out of a junk yard, so why should the wheels be any different? In the last five years there have been tons of posts about Hummer bead locks on PBB. They are a tried and true means of double bead locking a tire. Now why would I need a double bead lock? 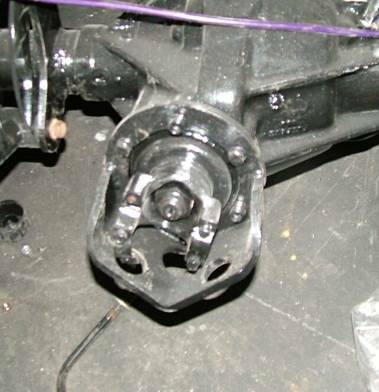 JYD (that's Junk Yard Dog to you) has a big block Chevy with some nasty gear reduction due to the Stak 3 speed transfer case. This means that under low tire pressure, I could easily peel a tire off the rim thanks to all that axle snapping torque. A lower tire pressure allows a much larger tire foot print, allowing for a better contact patch. A double bead lock will allow us to drop the pressure down to single digits. Stronger wheels will take the beating that I plan to dish out! 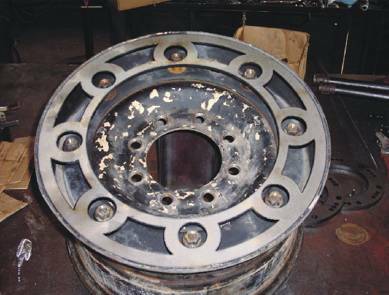 In my reading (even Billavista has done an article on them) I found that generally speaking, the outer ring of the rims are somewhat thin. I needed some way of beefing up the thin rings. I did a search on PBB and found a few vendors. Anyone ever weighed one of these things? Well it's 472lbs for 5 of them with the magnesium run-flats! This means that I needed someone close to me to modify these. Shipping or the price of gas these days would kill any deal. Enter Great Lake Extreme Offroad... Shawn does a very good job of fabricating for the masses and he really understands the 4x4 market. He was advertising: "NEW! Hummer H1 Rock Rings $115 TYD set of 4" and it really peaked my interest. They looked very stout and bash-able. I contacted him and he threw me through the ringer with questions I hadn't thought of! Shawn mentioned that the offset of a stock hummer rim would really narrow my track. JYD has full size axles and I wanted to be wider than a stock YJ but not really out there. He mentioned that 5" of backspace is very common and he could re-center them. I mentioned that I didn't have the rims yet, and he responded with "Not a Problem, I can get them. Want 'em sandblasted or want me to flap wheel them?" 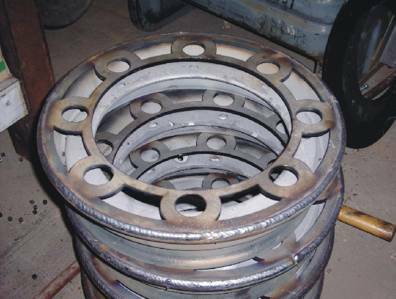 As you can see, the ring is stout and allows access to the studs that hold the rim together. You can also see at least two layers of paint on that rim! Considering how much paint I've actually applied to a few Hummers in my Army career, I knew that a flap wheel job just wouldn't cut it, so sandblasting was the option of choice. We agreed on the rock rings and back spacing. Then he asked me the big question; "If I drive by braille, what am I doing for differential protection?" 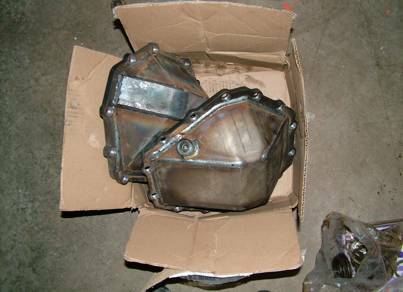 Shawn mentioned that he sells excellent heavy duty differential covers for my axles. He also does a trick pinion guard to keep that critical 1410 u-joint off the rocks. Considering his prices and the fact that I was already going have him ship half of Detroit's steel and magnesium, I figured it would be easier and far better to buy Shawn's, than making them myself. Let me tell you, these things are BEEFY! I got a Dana 60 cover with counter-bored mount holes and extra 1/2" plating options (should handle a few impacts). The rear 14 Bolt was given the counter-bored holes and an integral machined drain plug. I have backed up into rocks and peeled off diff covers in the past. This new hardware should prevent that! Not even the USPS could damage these things in their tiny covering of cardboard! The welding is just phenomenal. Considering that Shawn's day job is running a multi-million dollar fabrication and laser cutting shop, I was surprised at how quickly I received my goods. The fabwork appears flawless and sturdy. It's just what I needed to protect the investment I've made into this rig. Stay tuned as we thrash and bash these covers, rims, and everything else we've purchased from Pirate4x4 vendors!